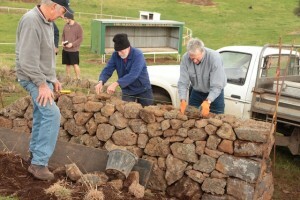 See in the drop down menu for the state-by-state DSWAA Directory of Wallers who undertake the craft of dry stone walling on a professional basis and who are Professional Members of DSWAA. 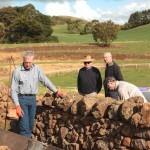 The Directory includes contact details; training in dry stone walling in Australia; formal United Kingdom accredited qualifications in dry stone walling (www.dswa.org.uk) and other training; specific areas of skill, expertise or interest; their summary of experience; clients/references and geographic areas in which they are prepared to work. We will maintain and expand the directory as more wallers apply to join. 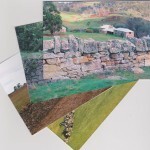 The ancient craft of dry stone walling has recently undergone a huge resurgence. 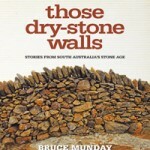 Innovative dry stone walling techniques are now being used as garden features and sculptural mediums in both art in public places and in private rural and urban garden settings. Unfortunately, with this resurgence there is also much substandard work being produced. 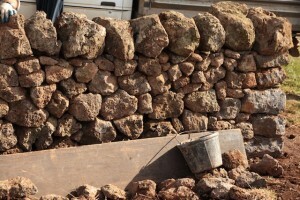 If you intend to engage the services of a dry stone waller, you should satisfy yourself about that person’s skills and appropriateness to do the work you require. You should ask to see photographs of their work or request references from previous clients, or perhaps even ask the waller for the contact details of clients so that you can inspect recent work. 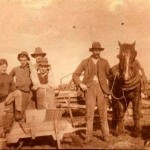 A waller’s fee will vary according to the type, extent and complexity of work, the need to obtain stones, the distance travelled to and from the job. Where possible it is wise to obtain more than one quote. Remember ancient walls have survived for centuries! 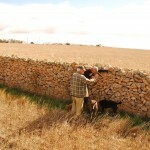 For further information see, ‘A brief guide to the inspection of Dry Stone Walling Work’ (UK). In order for the Directory to be as useful as possible, the DSWAA would be pleased to have feedback about your experiences with any waller. The Directory also has a form for you to communicate directly with the waller. We accept listing from dry stone wallers looking for work in Australia who have demonstrated competency through the Dry Stone Walling Association of Great Britain Craftsman Certification Scheme or its equivalent.